Dust particles diffuse the saturated orange of a sinking sun and smooth the warm tones evenly across the horizon. The limestone walls of Jerusalem absorb the light and the city practically glows, like it is on fire. In a sense, it is. 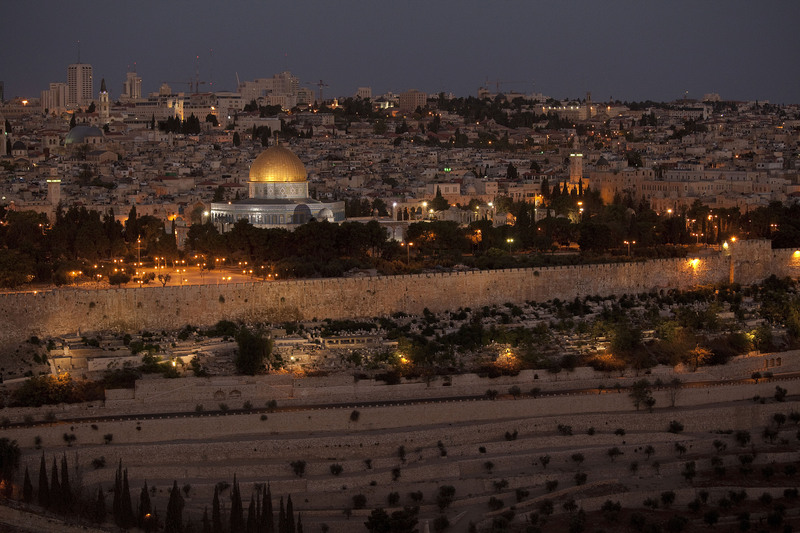 Jerusalem’s Old City has been a battleground for thousands of years. Lingering hostility between Jews and Muslims still smolders within, waiting to flare with the slightest gust of cultural friction. The peace for which the Psalmist tells us to pray (Psalm 122:6) is noticeably absent. However, just across the way, atop the Mount of Olives, stands a devout Jewish businessman, eyes closed, arms outstretched, olive skin glistening as he faces the city and the sun. His expression is strained and his lips move rapidly as he silently pours out his heart on behalf of his beloved city. “What do you think it will take for peace to come to Jerusalem?” the visitor asks. The man’s facial expression suddenly changes from compassion to firm determination. “For that monstrosity to be removed and for the temple to be restored to its rightful place,” he retorts while firing his finger like a missile in the direction of the Dome of the Rock, the Muslim shrine that has stood on the Temple’s site for more than 1,300 years. The definition of peace in Jerusalem is the expulsion of one’s enemies, or better yet, their destruction. What this committed Jewish man is waiting on is the promised Messiah to come and make it happen, much like Jews believe is detailed in what Christians recognize as the Old Testament. The irony is that the Messiah came, but brought peace to the hearts of men and not to their cities. Over the course of 33 years, Jesus the Christ wandered purposefully from his inglorious birth in Bethlehem – located about six miles back down the dusty road from here – to a brutal death on the rocky crag called Golgotha just beyond the city’s far wall. 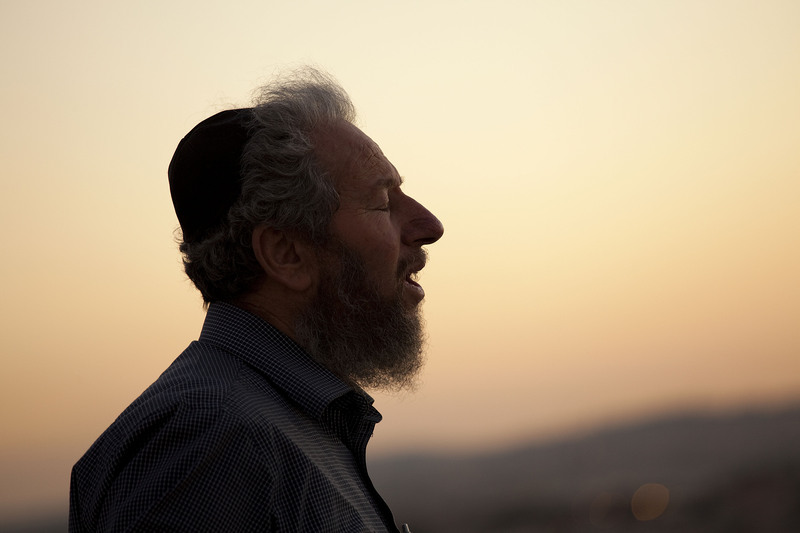 Like generations of Jews who waited for the Messiah to come and overthrow the Assyrian Empire, or the Persian Empire, or the Roman Empire, this earnest Jewish businessman is waiting for the Messiah to come and overthrow what he sees as the Muslim Empire. He’s missed the Messiah. He isn’t alone. The majority of humanity has missed Christmas. In fact, while many Christians await the Second Coming of the Messiah, much of the world has yet to hear of His first coming. And how can they ever celebrate the miracles of salvation and the resurrection if they haven’t heard the miraculous story of Jesus’ birth and amazing life? And is there any chance they’ll gain an understanding by watching Americans celebrate Christmas? By watching American Christians celebrate Christmas? Christmas in America has become big business. According to the American Research Group, Americans will collectively spend more than $465 billion on Christmas-related items. That’s about $865 per person. More than 30 percent will spend more than $1,000 on Christmas. Christmas has become such a financial windfall, some retail chains promote Christmas shopping specials beginning as early as September. Shipping company UPS is projecting it will deliver 630 million packages between Thanksgiving and New Year’s Day, an increase of 15 percent over last year. Sound ridiculous? Not when about 20 percent of a retailer’s annual income is generated in relation to Christmas. Let’s be honest; somewhere along the way, Christmas stopped being about Christ and started being about the commercial interest, and stress, that consume the holidays. According to a poll by the American Psychological Association, “Holiday stress statistics show that up to 69 percent of people are stressed by the feeling of having a lack of time, 69 percent are stressed by perceiving a lack of money, and 51 percent are stressed out about the pressure to give or get gifts.” The study also revealed that women are more stressed than men because they take the point on coordinating and executing most of the responsibility related to a family’s Christmas. The call to “put Christ back in Christmas” is nothing new. Seems like Facebook annually lights up with movements to boycott businesses whose position is more “Happy Holidays” rather than “Merry Christmas.” But if Christians win the cultural battle over political correctness yet miss the Messiah in their own hearts, are they any different than the culture around them? As Christians, Christmas must begin in the heart…and stay there. Maybe the place to begin the recovery process is to understand what the meaning of Christmas truly is. It is an extraordinary story that God, the creator of all things, physically stepping into human history to offer us the gift of a reconciled relationship to Him. Jesus had to be born in a barn to a poor family of no influence. He had to establish from the beginning that money, power, influence, position or family connections have nothing to do with one’s opportunity to know God. It had to be that way. His very modest birth validates all that He did and taught as an adult. For instance, consider the Beatitudes. The poor in spirit, the meek, the pure in heart and the peacemakers all inherit the Kingdom of God and will see God. If the Christmas story is about anything it is about humility and poverty; our humility and our spiritual poverty. It is not us who offers anything to God, but God who offers everything to us. Christmas is a reminder that God came to save people who could not save themselves and that salvation is only available to those who approach Him with humility recognizing their spiritual poverty. As Pastor and Author Tim Keller writes, it is when we recognize we are spiritual failures that we then recognize the beauty of Christ’s offer of salvation. The manger is both a reminder of our spiritual failure and of God’s grace to save. That first Christmas should also remind us to guard against the materialism and consumerism of Christmas present. Jesus tells us that where our treasure is there our hearts will be, and that it is easier for a rich man to pass through the eye of a needle than to enter the Kingdom of God. It isn’t that Jesus condemns wealth; it is that He knows our hearts will naturally gravitate toward the wealth and opulence this world offers if we stray from the gift found in the manger. In a season when we are bombarded by offers to buy, Jesus is calling out to us from Scripture, reminding us that we must rise above the tsunami of materialism and seek Him. Christmas is also a reminder that Jesus was born with the purpose to die. It should be impossible to separate the baby in the manger from the Man of Sorrows hung between two thieves. Christmas is a celebration of the coming of Immanuel, God with us, but it is only the beginning of a journey that led to a heinous death and a glorious resurrection. The baby in the manger could not save us; only the resurrected Savior could. Christmas reminds us that Christ came to save sinners. The Jewish businessman stood overlooking Jerusalem and resolutely stated that peace would come when the Messiah comes and the temple is rebuilt. But he’s missed that the Messiah already came. He missed Christmas. How about you? Have you missed Christmas or forgotten its meaning? Or maybe its meaning is buried under the complexity of a contemporary Christmas. Return to the manger in Bethlehem and remember the journey Christ made on your behalf.